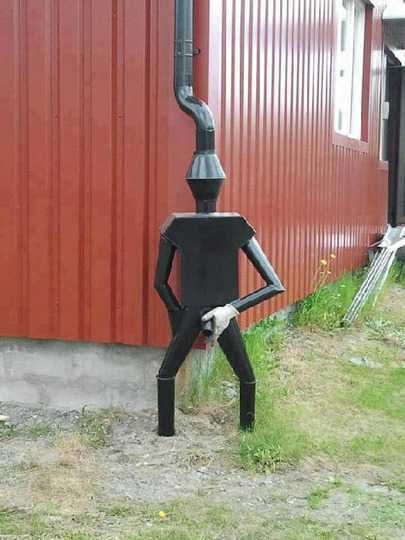 Creative downspouts are excellent decorations for house exteriors. 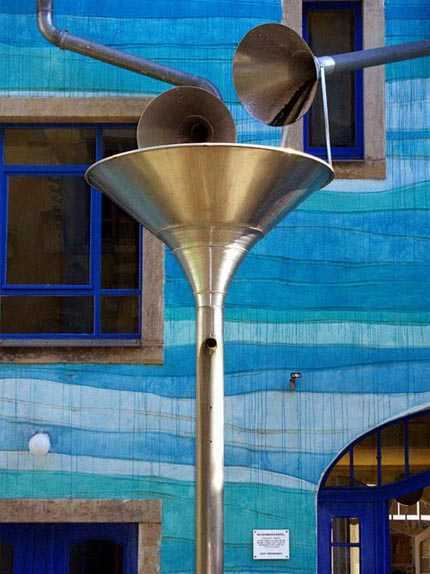 Original and colorful, downspouts make a statement, give an artistic vibe to old and modern buildings. 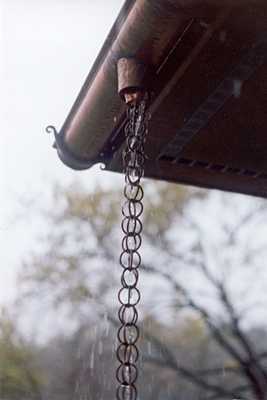 Rain chains and rain ropes are beautiful alternatives to downspout designs. 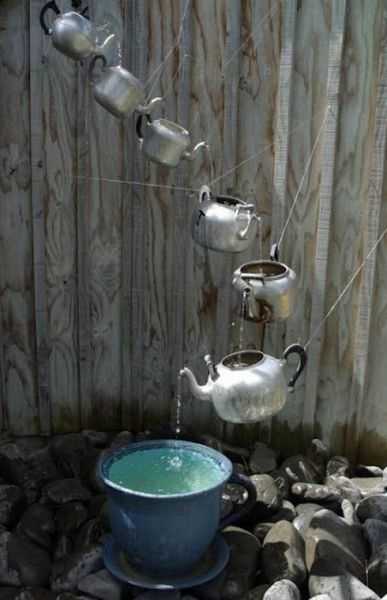 Here is a collection of functional and charming accents that add fun to house exterior decorating and make a statement. 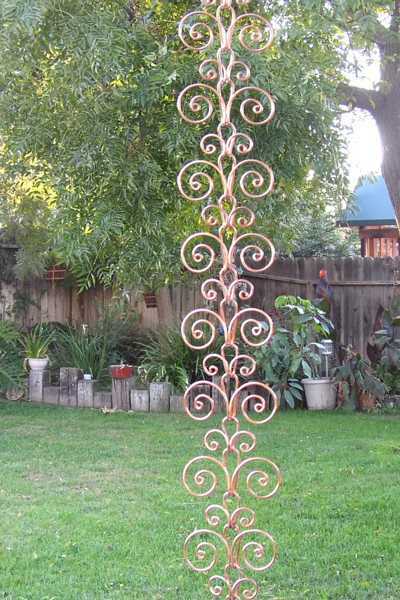 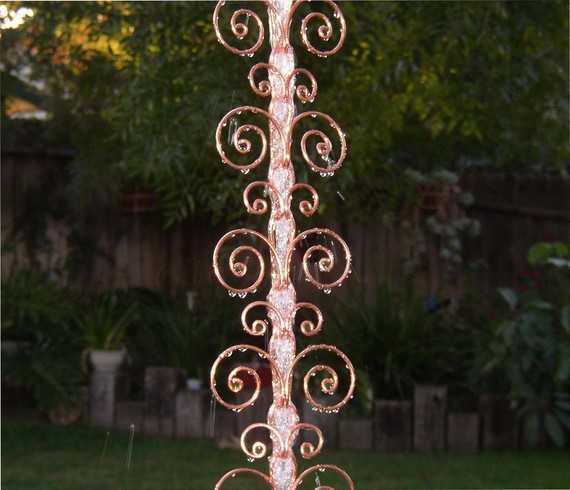 Copper rain chains look fabulous and exclusive. 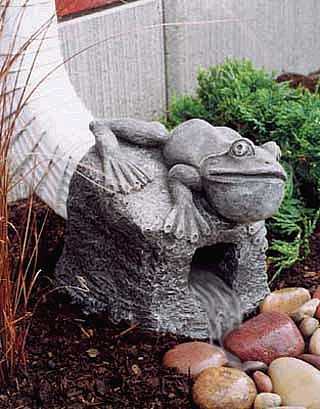 They are the best way to add the functional, but vibrant and distinct designs to house exteriors and garden structures. 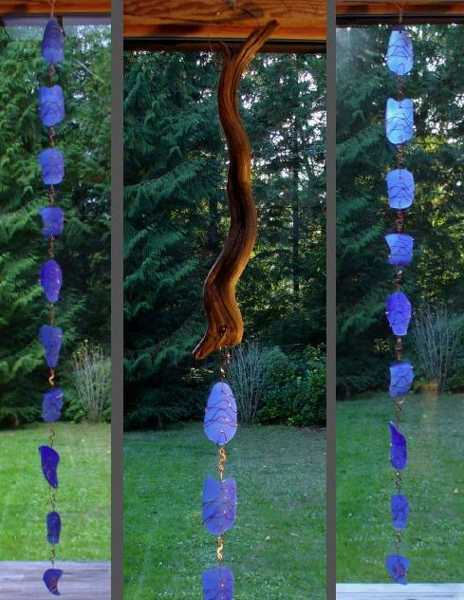 In Japan, where rain chains originated and had been in use for hundreds of years, the exotic designs show a fascinating blend of simplicity, elegance, functionality, and practicality. 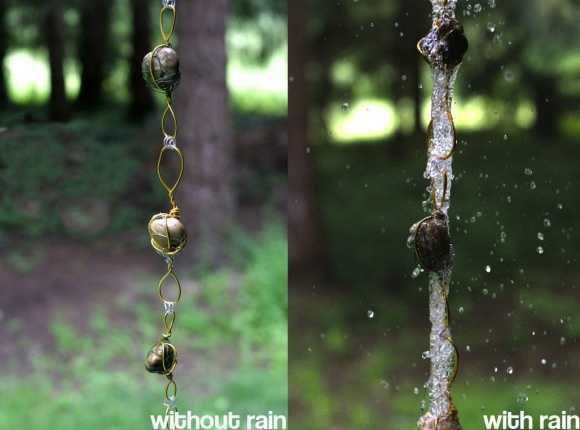 Called kusari doi in Japan, rain chains are elegant alternatives to downspouts and used as decorative details. 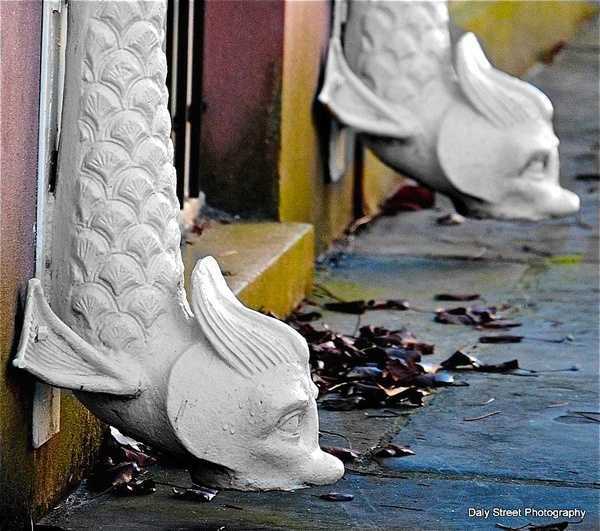 Original downspout designs accentuate ancient temples and old house exteriors in Japan. 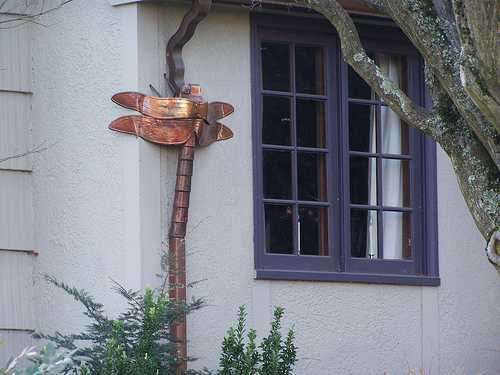 The traditional Asian decorations, the chain and rope gutters are unique, aesthetically pleasing, and symbolic. 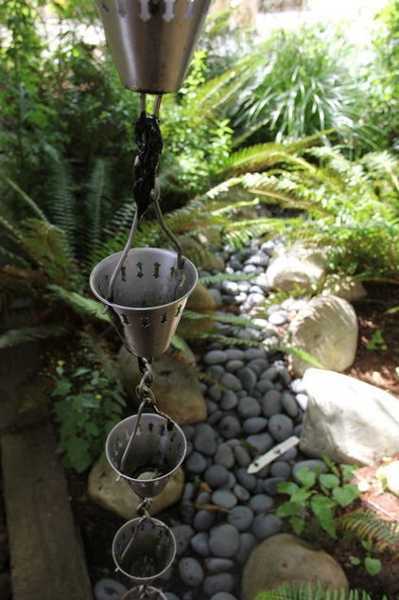 Modern rain chains are not just functional elements of house exterior design, but decorative, personal, and exclusive accents. 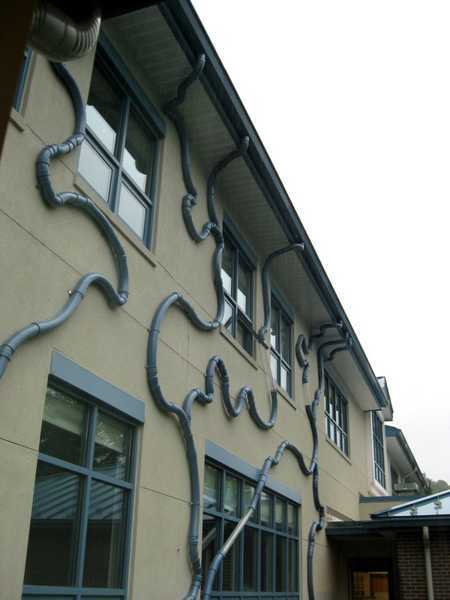 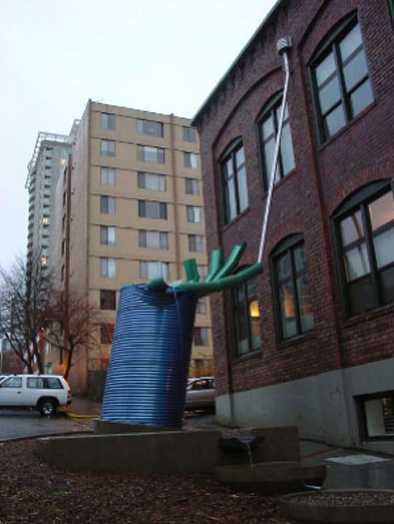 Downspouts with decorative splash guards, attractive rain chains, and elegant rain ropes are designed to guide rainwater run-off from the roof. 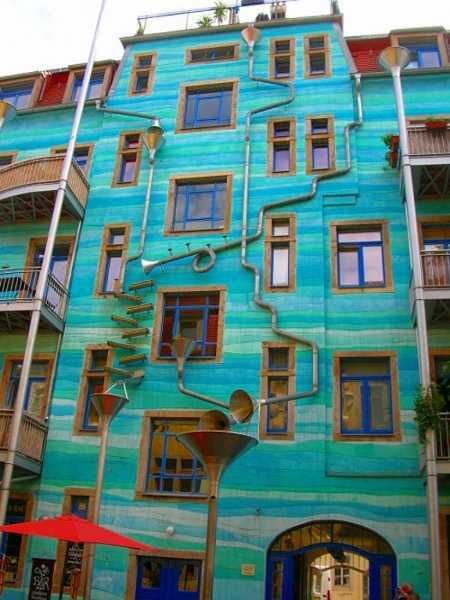 While adding eye-catching designs, colorful and amusing images, these functional details direct the water away from the walls. 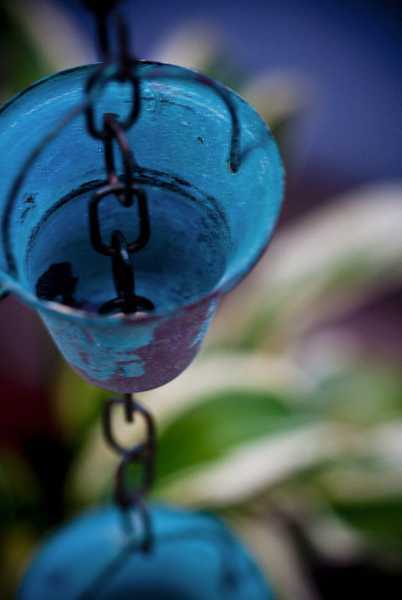 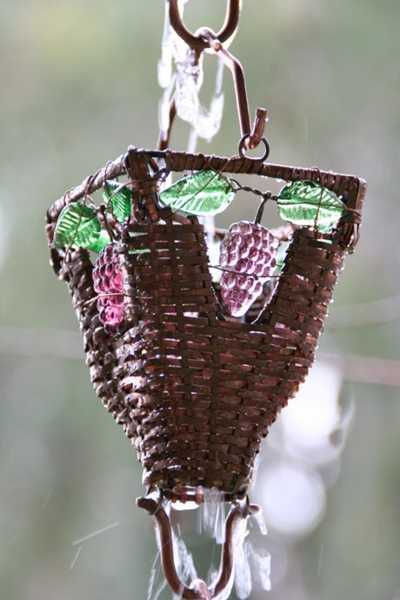 Artistic downspouts, creative splash guards, elegant rain chains, and rain ropes brighten up outdoor living spaces, adding beautiful decorations to house exteriors. 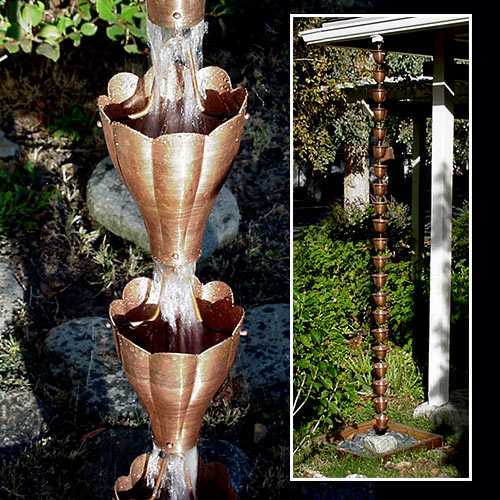 Remarkable downspouts add beauty, fresh flavor and interest to backyard designs and buildings. 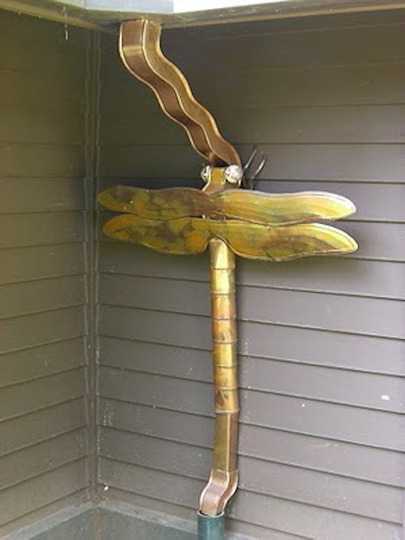 A decorative splash guard helps create a relaxing mood, spruce yard landscaping, accentuate the house exterior with the crafty detail or add a funny image. 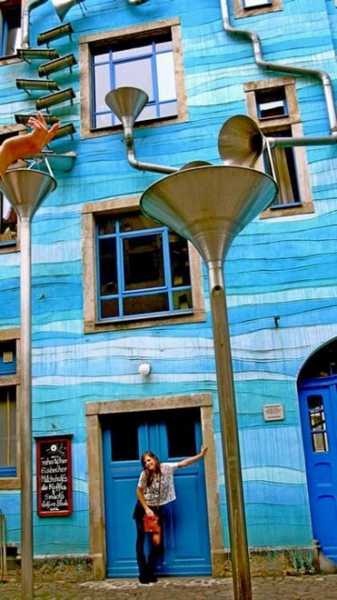 Playful, humorous designs and bright colors make people smile. 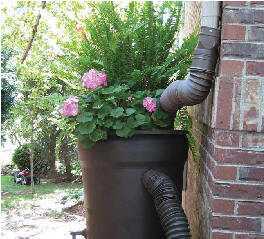 A barrel for collecting rain water or watering garden plants, combined with an attractive downspout guard or a rain rope create a working set for enthusiastic gardeners. 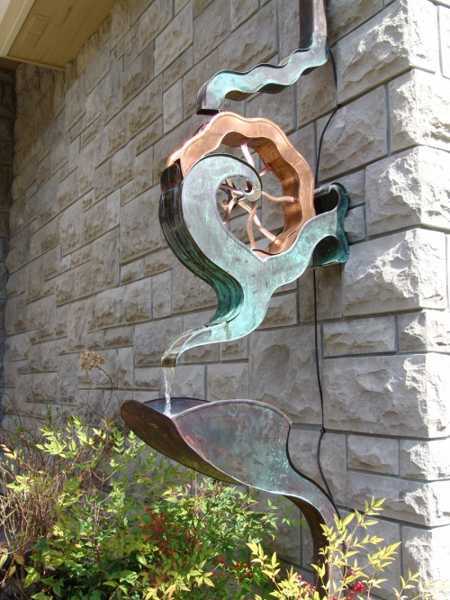 An unusual downspout, a basin for the water, and a splash guard make wonderful decorative accents for house and garden while protecting the house foundation from water damage. 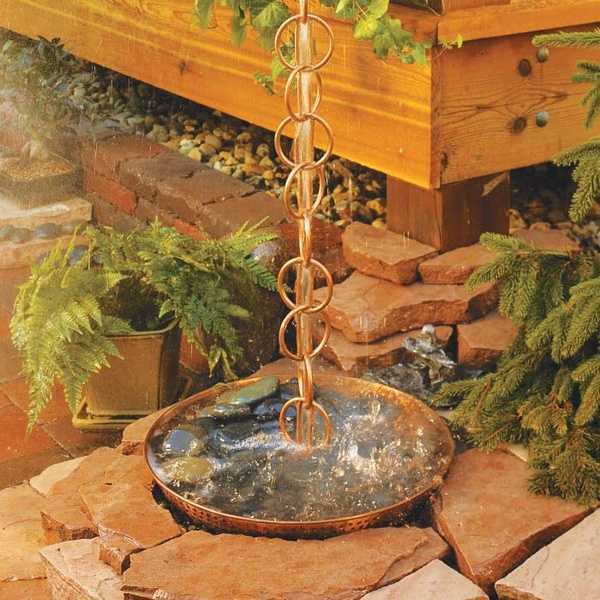 Pebbles are ideal for creating a small patio for a barrel. 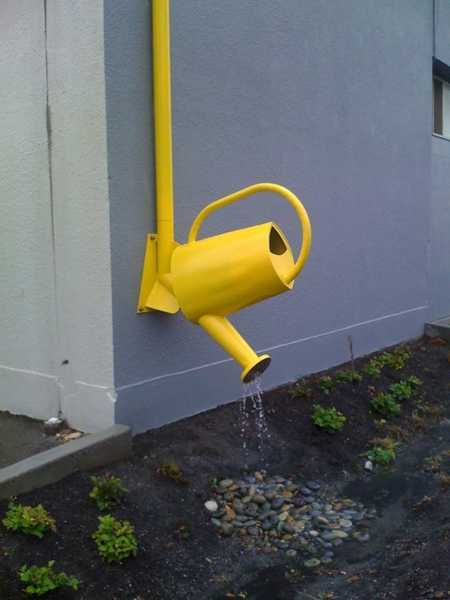 Combined with a downspout, they create a harmonious and functional set. 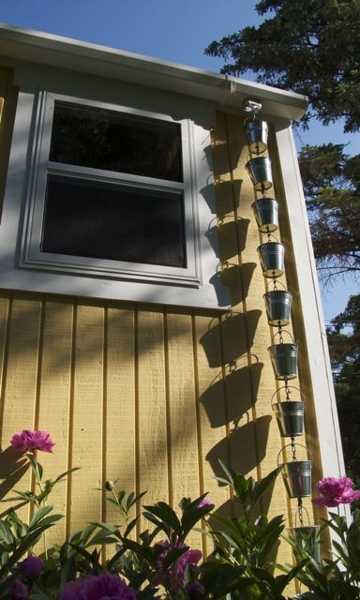 Downspouts and splash guards not only enhance house exteriors but help reduce soil erosion around the home. 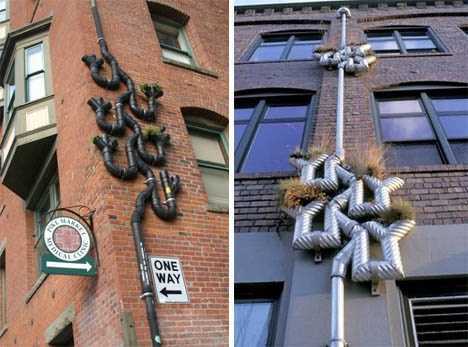 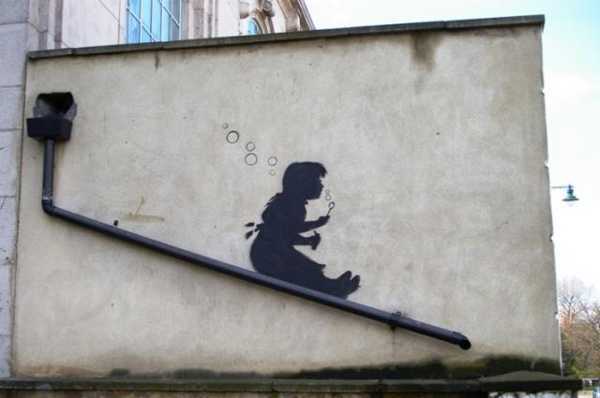 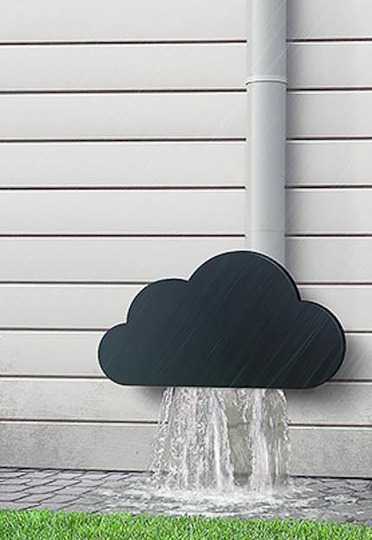 Here are creative designs that get that water to run away from the walls. 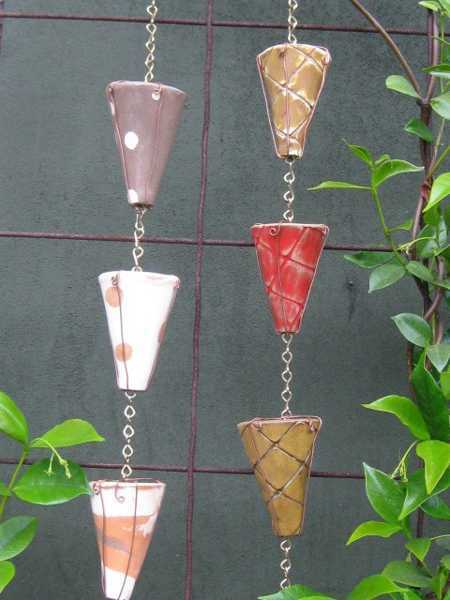 These gorgeous accents feature unique designs and bright colors creating cheerful and optimistic outdoor decor. 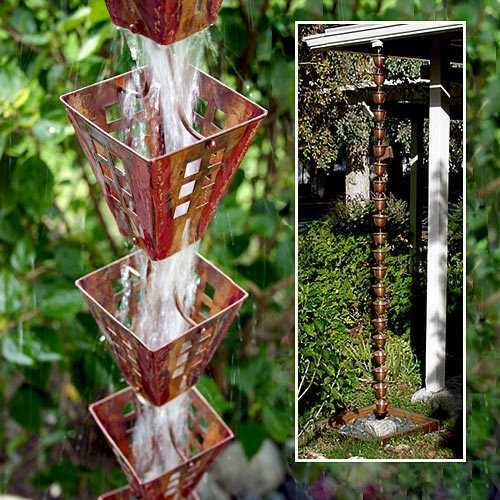 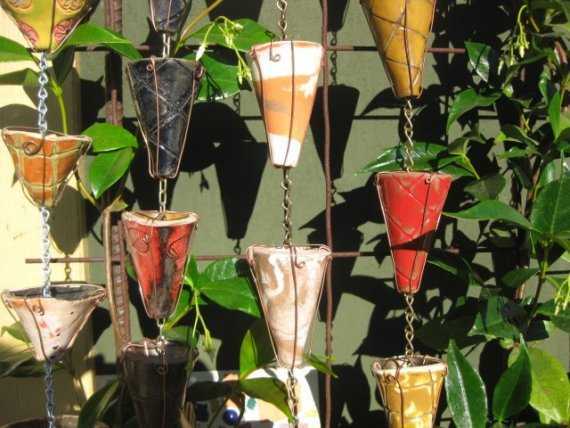 Fabulous and inspiring, the beautiful downspout and rain chain designs offer exciting DIY ideas to add a whimsical or humorous detail to your backyard landscaping and create the unique decor that blends the Asian flavor with creativity and practicality.